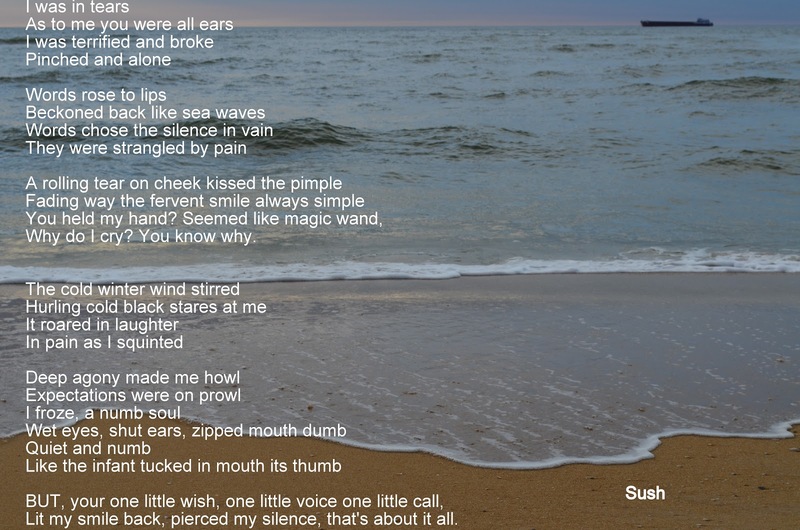 A poetry written in fifteen minutes-My first fastest post. Picture taken at "Bengre" in Udupi-Karnataka-India. I dedicate this post to the A-Day of round 10 of ABC Wednesday meme. Please click here for details and more shots. You did that in 15 minutes? I am officially jealous. @ Roger:- oh yes the words poured out from heart in the fifteen minutes!! That was wonderful. Poetess at heart and art! Well written... Deep thoughts too... Cheers and Keep Blogging! and bengre beach - yay! stirred my heart while reading your poem :) My "A" for ABC Wednesday. @ Mel Cole: aww the stir in your heart just warmed me up. thanks dear. Stopped me in my tracks that is beautiful. Thank you for sharing your beautiful blog. @ magnetic island- thanks so much for stopping by and the lovely words.